I’m just adding a quick post to remind all parents that it is a bank holiday on Monday – so the school will be closed. We will reopen as normal on Tuesday. Have a wonderful long weekend! This entry was posted in Uncategorized on April 29, 2016 by daviotblog. 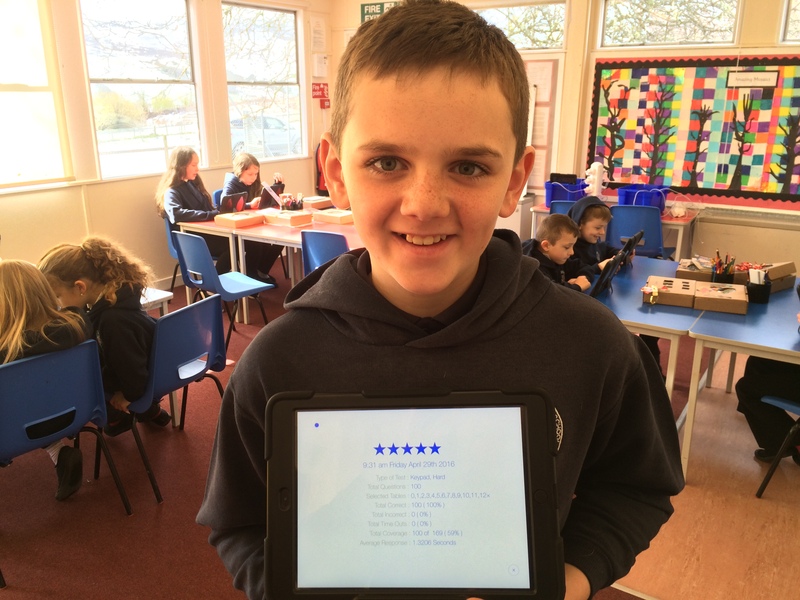 Rory is the newest member of the 5 Star Gold Award Club for ‘smashing it’ on the Team Daviot Times Tables Challenge. Rory answered 100 mixed multiplication questions (x1 to x12) correctly. What makes this test particularly difficult is that each question has to be answered in less than one second – with no incorrect answers or timeouts! It is an exceptionally difficult task. This achievement is very special, because Rory used to hate times tables – and I mean hate them! Now he has cracked the most difficult tables challenge around! Well done, young man! I am so proud of you! I am thrilled to announce that Paul Moxon from Cricket Scotland will be visiting the school on May 5th, 12th, 19th and 26th (the next four Thursdays) to give the class some cricket coaching. I know one young man who will be particularly excited! Lucca proved it when he smashed one of my leg spinners out of the BDA Area! PE will be on Thursday and Friday next week (not Wednesday). I have managed to organise a Shinty taster session for the class on Friday morning; it should be great fun. Please remember to send pupils with PE kits, trainers and water bottles on those days. Thanks for your support! On Wednesday next week, Team Daviot will be joined by Katy-Louise Pritchett from the Eden Court Theatre. Katy-Louise will be coming along to deliver a fun-filled day of drama workshops for the whole school. It should be an amazing experience. It was great to see Fern and Evette having so much fun together at lunchtime. I could hear the giggles from the other side of the school! It was lovely. Sadly, we had to postpone the tattie planting today due to the snow. Granny Annie and Papa John have kindly invited us back when the weather improves. We can’t wait.